Not long recovered from the chaos of two major hurricanes, Puerto Rico isn’t one to sit on the sidelines. The Caribbean island with its myriad of American meets Spanish and Caribbean culture has already started piecing its pretty world back together. Yacht charters setting sail for these shores will surely be enchanted by the joyous energy of local life, the ripe tang of fresh coffee, the sugar sand beaches, and the fact that many of the other tourists have set sail for different lands. With luminescent waters, lost islands, and glorious green rainforests and caves – Puerto Rico hits the perfect mark for R&R. A vision of vivid perfection; the beaches of Puerto Rico sure to capture that Caribbean charm – with an added edge. Yacht charter guests will be wonder stricken at the sight of golden sands and blue seas ebbing against a landscape of colonial painted prettiness and lush green backdrops. Some of the most enchanting stretches of sand in Puerto Rico include the highly revered Flamenco Beach, Isla Verde, and Red Beach. 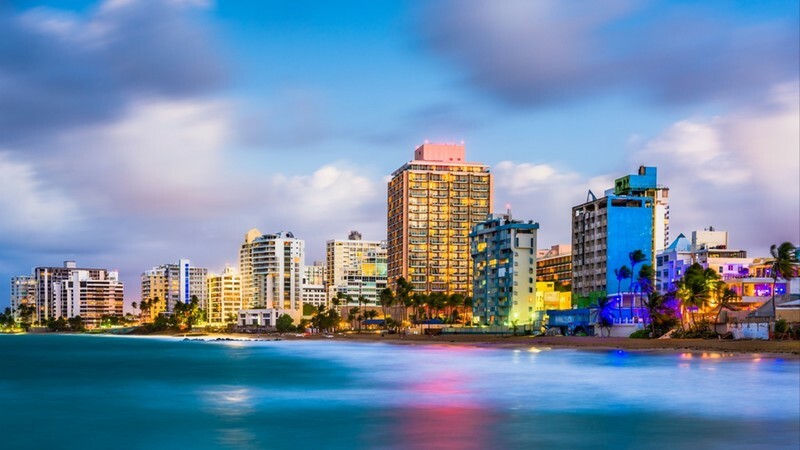 Puerto Rico is where Spanish flair meets Caribbean charm, and the melding of these two cultures comes together wonderfully. 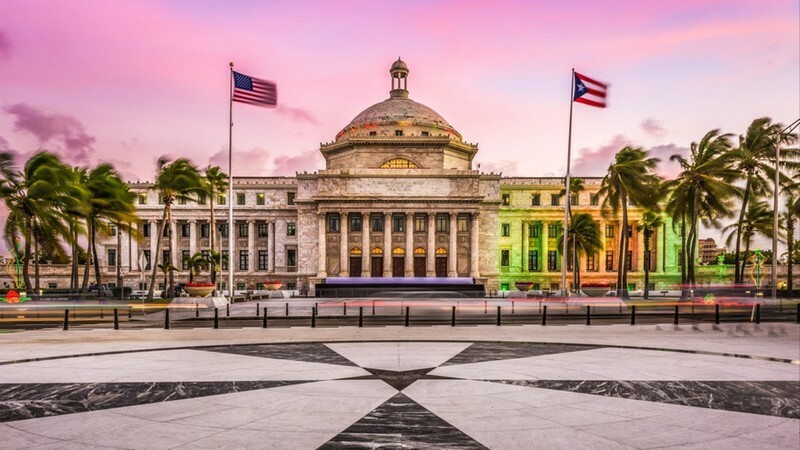 From the heady scent of suckling pig wafting down the street to the energetic pulse of salsa beats spilling out into the night, the sleepy afternoons meandering down historic cobbled streets, wild weekend festivals and rainbow painted homes – Puerto Rico doesn’t shy away from her roots. Luxury yacht charter guests can prepare for the ultimate in romance as they take an evening tender to shore to visit Mosquito Bay in Vieques. This beautiful bay comes alive at night, and not with pesky insects. Some of the beaches and coves around Puerto Rico are home to bioluminescent waters, where it appears as though a thousand stars have fallen into the sea. Walk barefoot along the water’s edge and see the sea twinkling as though lit by fairy-light. History abounds on the shores of Puerto Rico, making it a divine yacht charter destination for those with an eye for the past. Even wondering the streets of San Juan are a testament to the Spanish past, but its at the fabulous cliff clinging Fort Morro where the visions of yesteryear truly come to life. Stories of sieges, crumbling empires, fallen sugar refineries, and precolonial ruins curate a fascinating picture of settlers, swashbucklers, and smugglers. Dreamy in name and in sight – Vieques has quite the draw with its beautiful beaches boasting those highly photogenic bioluminescent waters. But beyond those inky blue and bright star beaches, there are still plenty of pleasures to be had. Wild horses gallop free, the restaurants cater to high-end honeymoon visitors, and days are best spent exploring those sun-soaked coves and wildlife watching in the local reserves. Down in Old San Juan, luxury yacht charter guests will find one of the most strikingly well-preserved examples of Spanish colonial architecture. The town is a welcome humming medley of cobblestone streets, pretty painted facades, and looming fortifications. Take a walk up to the Castillo San Felipe del Morro, sip locally grown coffee at one of the chic little cafes lining the streets and take dinner at the 1919 Restaurant headed by Michelin star chef Juan Jose Cuevas Soto. For the edgier traveler - a street graffiti tour and evening of island invented Pina Coladas could be an alternative menu. A smidge smaller than Vieques, Isla Culebra is a postcard pretty vision of topaz clear waters flanked by lush coconut trees and dense dark interiors. This island is home to Playa Flamenco, one of the most beloved beaches in the whole of the Caribbean. Yacht charter guests with kids will particularly adore this spot as the surf free waters offer calm splashing. Hikers will also be smitten as most of the island is a preserved national park meaning that cove exploring, wildlife spotting, and challenging off piste walks are all on offer. 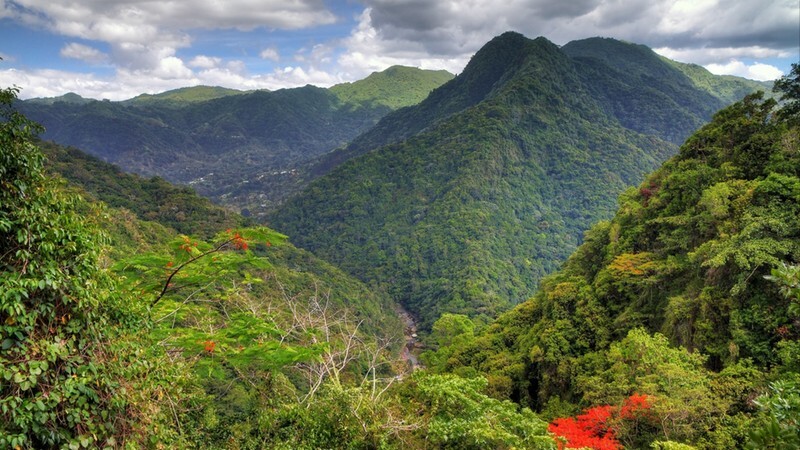 Leave your luxury yacht charter bobbing on the blue bay and duck inland to discover the lush interior of the El Yunque Forest. The only tropical rainforest marked on the US forest system, the canopy fills with melodic birdsong, white water streams rush over rocks, and hiking trails entice you further and further into the thickets. Orchid lovers can admire over fifty species of the rare flower in bloom, and for those who want to feel the spray of the falls – the 85ft cascade of La Coca Falls is pretty impressive. Those yacht charter guests wanting to hit Puerto Rico when the hurricanes have passed may find the island best suits their needs between April and June. Summers on these shorelines can be hot, heavy and humid and come with a lot more than a drizzle of rain. Actually, the best weather in Puerto Rico can be found during the winter months when the sun, sky and sea all remain bright, clear eyed and blazing.